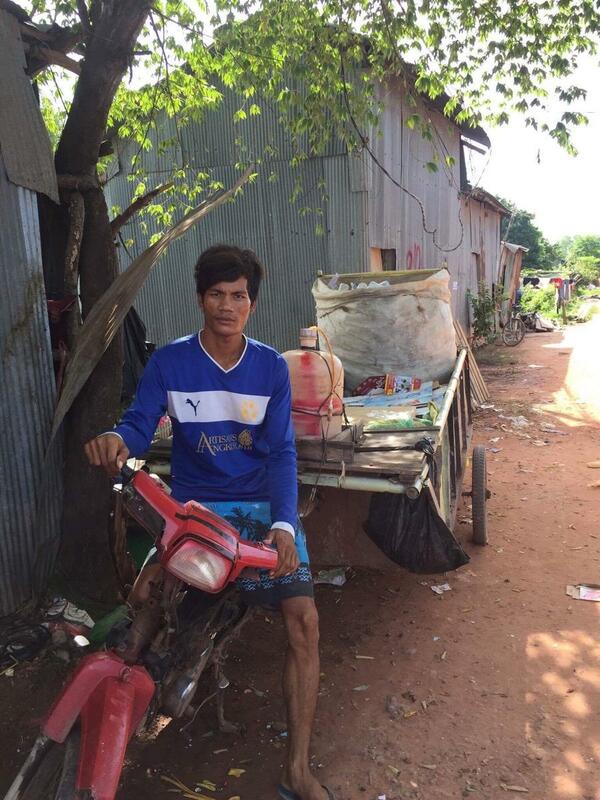 A loan of $250 helped to buy more recycled materials for selling and supporting his children's education. Roth is 31 years old and is a married man with two children. He and his wife are buying and selling recycled materials. Roth has been buying and selling recycled materials for 12 years. He will use this loan to buy more recycled materials for selling. This loan would help him to as the working capital to run his day to day purchase and selling recycled materials and this would help him to generate more income to support his business and family's living standard. He wants to send his children to get high education and renovate his house bigger in the future. More entries of competitors is his major challenge. This loan supports micro-entrepreneurs in Cambodia. Chamroeun provides borrowers with access to capital to invest in income generating activities, such as market trading or handicraft production. They also provide extensive training services to help improve the business acumen and financial literacy of clients. By supporting this loan, you are helping to empower low-income families in Cambodia and improve their standard of living. Chamroeun is a microfinance institution that provides adapted loans, savings and micro-insurance services to the very poor in Cambodia. They provide both individual and group loans, and the majority of loans are for small businesses to allow them to startup or scale. Kiva supports Chamroeun’s work to provide financial services to the very poor in Cambodia, one of the least developed countries in Southeast Asia, while demonstrating a strong commitment to social performance and impact.